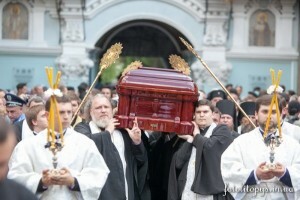 We have long admired the late Metropolitan Volodymyr’s resilience and strength, demonstrated in manifold ways over many years through his fervent love for the faithful of your blessed Orthodox Church. To His Eminence Metropolitan Onufry of Chernivtsi and Bukovina, Locum Tenens of the Orthodox Church of Ukraine in Kiev, our beloved brother and concelebrant in the Lord: may the grace and peace of God be with you. It is with sentiments of profound sorrow and regret that we learned of the repose early this morning of our dearest brother and primate of the Orthodox Church in Ukraine, the Most Reverend Metropolitan Volodymyr of Kiev and All Ukraine. We have long admired the late Metropolitan Volodymyr’s resilience and strength, demonstrated in manifold ways over many years through his fervent love for the faithful of your blessed Orthodox Church as well as for all the people of your precious Ukrainian Nation. More recently, we have also admired the same virtues in his struggle against illness until he finally surrendered his spirit to the Lord of life and death, in whom we all place our hope and trust. 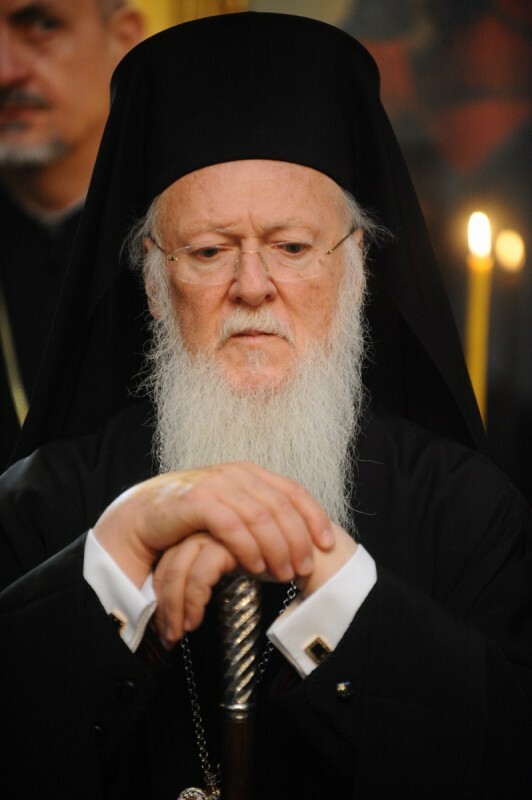 From the sacred Center of Orthodoxy, as the Mother Church which planted, established and nurtured the Ukrainian Orthodox Church through the centuries, we would like to express our wholehearted condolences through you to the venerable members of the Holy Synod, the pious clergy and faithful laity, as well as all the cherished people of Ukraine at the loss of this spiritual leader and ecclesiastical primate. May God grant deserving rest to his soul, together with His consolation and the necessary strength to all of you as you continue in your way, especially during these sensitive and formative times for the history of your Nation.